If I were banished to a remote mountain top and told I could take only one food to accompany my bread for nourishment, I would choose one of the great blues of the world : The French Roquefort, the English Stilton or the Italian Gorgonzola. And If I had to choose between a Roquefort, a Stilton or a Gorgonzola I would choose the Roquefort, either a Carles or a Pappillon mark. Of these blues Roquefort is the only blue made from raw ewes milk. Ewes milk cheese have up to twice the amount of protein as cows’ milk cheese. The magnificent Roquefort dates back to the first century B. C.. and has been the favorite among a whole gamut of historical figures, including Caesar, Charlemagne, the Popes of Avignon & King Louis XV. These are the recognized great blues, but have you tried Peral, a wonderful Spanish blue, available here and definitely worth comparing to the better known blues? It is soft and pungent with a recognizable creamy texture, strong flavor and a good lasting quality. A great bargain among any cheese it certainly has a place at my cheese table and with a good pairing it is fabulous and enjoyed by all. All these great cheeses are best drunk with known paired wines and Peral is no exception. It likes a fruity wine, if white, maybe a Riesling, or even a dessert wine or sherry. If red, try a Californian Cabernet or Zinfandel. It is a cow’s milk cheese developed over generations in the region of Astoria and its smooth, buttery flavor will delight your blue cheese lovers, give your cheese plate a new taste and if you’ve not tried it already, you’ll be delighted too. This is one of the great blues, from my table to yours. CheeseGirlSara is going to be a regular contributing colleague on the WineGuyMike blog. Sara is a cheese and wine expert who likes to drink wine paired with great cheese as much as you and I do. Her cheese knowledge is just amazing and I’m honored to have her writing and sharing with us, please enjoy her contributions. Got the financial blues ? One bright light on the horizon is the rise of the dollar against the English Pound, making a visit to England more affordable than it has been for some time and for a cheese lover England has some major attractions. 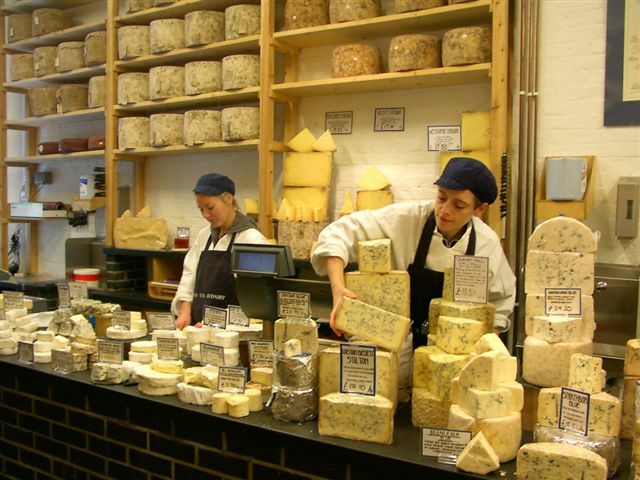 The rise of English country cheeses has been phenomenal with many traditional cheeses being revived and new raw milk varieties coming on to the scene. WineGuyMike attended a local wine tasting a couple of nights ago hosted at the La Grotta Bella by Worden’s Deli. This is a weekly tasting get together of locals enjoying wine and each others company. The cost of attending one of these tastings is $10.00 per person and they run from 5-8 in the evening. I would recommend getting there early as the tasting is on a first come first serve basis. The bread and olive oil go first which they are not necessarily great about replenishing. The wine is plentiful though and ultimately that is what you are there for, so without further ado on to the wine review. Winemaking: The wine is fermented in stainless steel at fairly cool temperatures to preserve Dolcetto’s black cherry, raspberry and blueberry fruit aromas. Prior to malolactic fermentation it settles to draw out the color and richness. The wine is then racked into different stainless steel tanks for natural clarification prior to bottling. Aging: total aging of 6 months in Slovenian oak. Bottled unfiltered. 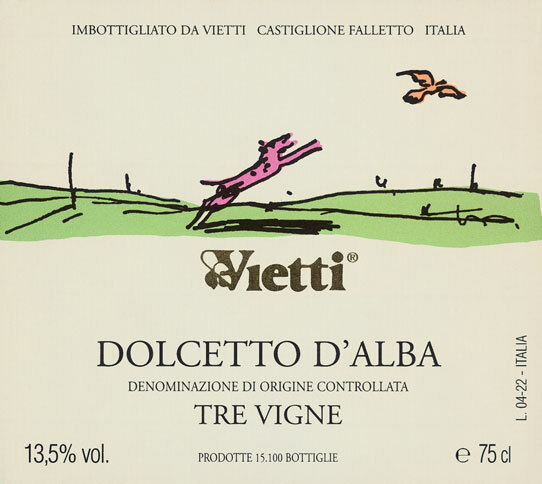 Description: Purple red color with a light blue hue, the Dolcetto has aromas of black cherry, raspberry and hint of blueberries and minerals. An unoaked wine, this medium bodied red has soft tannins, moderate acidity and good balance. Alcohol: 13.17% Alc. by vol. Winemaking: the grapes are selected from young vineyards, approximately 10 years old, in Agliano d’Asti that are planted 4,800 plants per hectare with a yield of 39 hl/ha. The must is kept, for 12 days, in stainless steel tanks at 30-32°C. Aging: at the end of the malolactic fermentation, the wine is moved into French oak barrels or Slavonian oak casks for 12 months, then into steel tanks 2 months before bottling. The wine is bottled unfiltered to retain complexity. Alcohol: 14.58 % Alc. by vol. Total dry extract: 30.6 g/L. 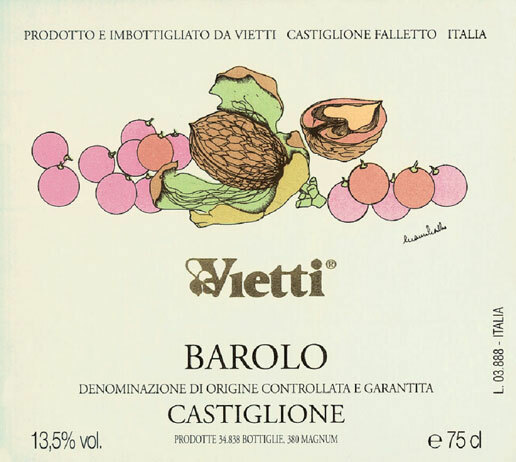 Winemaking: The grapes are selected from different vineyards of Nebbiolo for Barolo: from Scarrone, Bricco Boschis, Valletta in Castiglione Falletto, Fossa in Barolo and Ravera of Novello village. The average age of the vines is 35 years, and the plants per hectare are 4,500. All vineyards are vinified and aged separately. 18-21 days of alcoholic fermentation between 28°-35°. It follows the malolactic in stainless steel tank and barrels. Aging: The first part of the ageing is done in barriques for 10 months ( only some cru wineyards ) and then in Slovenian oak casks for other 16 months. Before the last blending for the bottling of our Barolo Castiglione, we select the casks to use for our Nebbiolo Perbacco. Description: fromPale ruby color with aromas of ripe cherries with hints of spice. 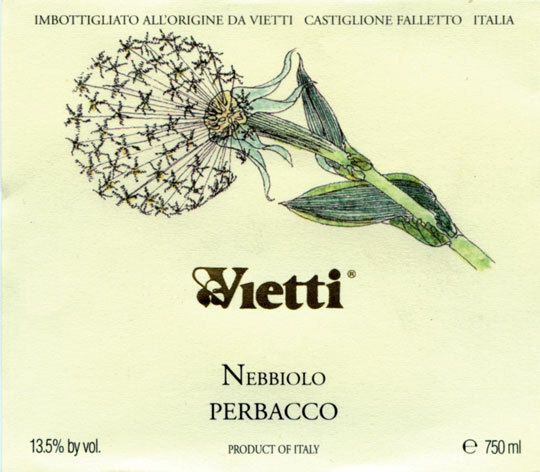 With gripping tannins, fresh acidity, this Nebbiolo shows finesse, is well-balanced, integration and a lingering finish of rose petals. Winemaking: the grapes are selected from vineyards located in Castiglione Falletto, Monforte, Barolo and Novello where the vines are planed an average of 4,800 vines per hectare. The vines are 7 to 35 years old with yields of 38 hl/ha, grown using the Guyot system. After harvesting, the grapes are gently pressed. Fermentation in stainless steel occurs over 15 days, with daily cap submersion for extraction of flavor and color. Aging: the wine is then aged for 24 months in casks. The wine was blended in stainless steel tanks 8 months before bottling. Unfiltered. Description: pale ruby color with garnet hues and powerful aromas of rich, ripe cherries with intricate complexities of spice, tea leaves and rose petals. With strong, rich tannins, crisp acidity and masculine structure, this ageworthy Barolo shows incredible finesse with excellent balance, integration and a long, lingering finish. Food Pairings: hearty stew, wild game, roasted red meats and sharp, aged cheeses. Alcohol: 14.02% Alc. by vol. Total dry extract: 27.8 g/L. This was a nice flight of wines, particularly if you like light to medium bodied dry red Italian wines. These are all wines I would enjoy now an not worry about aging. From my table to yours. Duckhorn Vineyards 2005 Napa Valley Merlot "Three Palms Vineyard"
Three Palms Vineyard is legendary in the world of California Merlot—and for good reason. A hot site with free-draining soils, Three Palms consistently delivers focused red fruit flavors balanced by an austere minerality, which contributes to elegant aging potential. Duckhorn’s Three Palms bottling is one of the oldest and most consistent Merlot vineyard designations in California and this is a classic example. The wine always is very tannic. But the ‘05 is dry and rich and complex in mineral-laden cherries and currants, with just the right application of new oak. You can decant it now for several hours and enjoy with a dramatically charred streak, but it will develop beautifully through 2011, at least. Black-garnet hue with a fuchsia rim. Forward aromas of plum, cherry compote and warm caramel. Classic Three Palms fruit with a combination of power and finesse emitting layers of black cherry, plum, sweet oak and cedar accents. 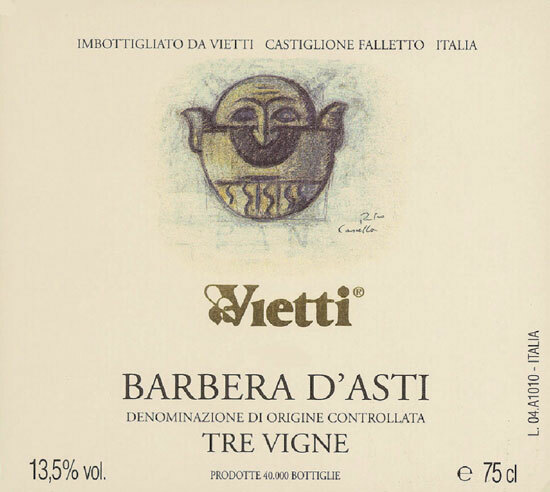 Youthful tannins do surface in the finish giving apt support to the lingering sweetness. More tightly knit and less generous at the moment than Duckhorn’s estate Merlot, the Three Palms is no less compelling and probably is a better candidate for long-term cellaring, which isn’t to say it can’t deliver immediate pleasure now if decanted well ahead of serving. Those aren’t recommendations often associated with California Merlot, but this one’s big, bold and complex, with the structure of a Cabernet. It shows layers of dark berry fruit, hints of anise and vanilla bean, mocha and cedar, and uncommon depth and weight without being jammy. A smashing wine. Tasting this Merlot was a real treat, the style of winemaking used in this Merlot is one that the wine type can be proud of. This is an exceptional bottle of wine that I would recommend decanting a few hours before pouring. 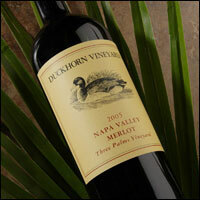 Duckhorn has just released their 2006 vintage of “Three Palms Vineyard” Merlot and I can’t wait to taste it. From my table to yours.